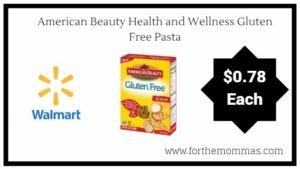 The post Walmart: American Beauty Health and Wellness Gluten Free Pasta $0.78 Each appeared first on FTM. Head in to your local Walmart store where you may find select Wonder Nation Boy’s Polo Shirts on clearance for just $2 (regularly $4.97). Keep in mind that clearance prices and items can vary greatly by store. *HIP TIP – Before making a special trip to your local Walmart store, click on the SKU # listed below, and enter your zip code to check stock and price of this item at your local store. Note that Brickseek is NOT always accurate with stock and pricing. Check out these adorable sundresses at Macy’s! If you’re headed into Walmart soon, be on the lookout for the FurReal Roarin Tyler the Playful Tiger possibly on clearance for as low as $25. This toy seems to vary greatly in price from store to store ranging anywhere from $25 all the way up to $94 (regularly $129.97). We think this toy is one to watch – so if your store hasn’t dropped the price yet, be sure to keep checking as the markdown seems to be very widespread! *HIP TIP – Before making a special trip to Walmart, go here and enter your zip code to check stock and price at your local store. Note that Brickseek is NOT always accurate with stock and pricing. Looking for a great learning toy for the kiddos? This would be a great time to grab this fun toy and save for a Christmas Gift – it’s only 109 days away! This fun coding robot is perfect for kiddos ages five and up and introduces them to coding in an easy and friendly way. The advanced features grow with your child to provide years of learning and play. Botley is ready to use right out of the box and it is 100% screen free – no phone or tablet is required! Botley is STEM approved and teaches kids creative problem solving and computational thinking skills while promoting social and physical development. The 77-piece activity set includes a remote programmer, detachable robot arms, 40 coding cards, six double-sided tiles, 27 obstacle building pieces and a starter guide with coding challenges. To find out more about Botley, head here. Hop on over to Walmart.com and score big savings on select seasonal dinnerware and serving items. There is a nice selection of various colors and patterns available to match any dining room or kitchen decor. *Includes 4 dinner plates, 4 salad plates, 4 soup bowls, 2 ramekins, and and a salt/pepper shaker. Head on over to Walmart.com where you can score this Hisense 65″ Ultra Hi-Def Smart TV for only $498 shipped (regularly $648). This Hisense Ultra Hi-Def Smart TV has a whopping 8.3 million pixels to produce a 4K resolution for more realistic images and a sharper picture, plus standard-resolution video is automatically converted to HD. Grab this Spiderman Edition PS4 to play on your new TV!